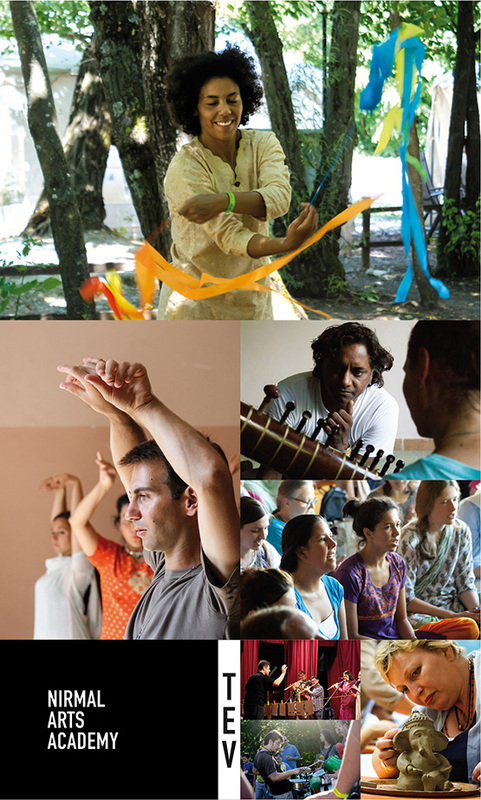 This year we are celebrating the 10th Anniversary of the Nirmal Arts Academy in Cabella and that is why this edition will be even richer, full of joy and more beautiful artists. Everybody is welcome to attend the ten days of classes or any number of days, meals and sleeping accommodation will be available at the camp. There will be place to set up your own tent if you wish. As always you can take as many classes as you have time for but when you register, we ask you to indicate your three favorite ones. A Meeting to present the courses and teachers will be held on Monday, July 27 at 11 am in the Hangar. All students are required to be there in order to help your plan your class schedule. In this edition we have put some extra care in providing more courses for children and added some interesting new workshops. We kindly ask everybody to register online as soon as possible and to pay the registration fee as well, this is important to help the organization and support the travel expenditures of the artist/teachers. These rates will cover tuition at the academy, accommodation in the camp and TEV membership. Become a TEV Member ! At the moment of registration you will be asked to pay a membership registration fee of 30 Euros which will be deducted from the final rate you will have to pay. NB: Please remember to print and bring with you the registration confirmation email!